Children as young as toddlers can take chiropractic treatment if they need it. The treatment is considered safe even if the patients are pregnant or are very young. In fact, there are several young patients in Union City Chiropractic clinic who are undergoing treatment. The chiropractic treatment is safe because it is drug-free and surgery-free. A well trained chiropractor can adjust and use certain special techniques for patients with special needs like kids. The children’s muscles and joints strength are different from that of an adult and that’s the same reason why chiropractors are more careful in treating their young patients. But the benefits the treatment gives is still the same as what the adult patients can achieve. Kids who have been in a vehicular accident or any forms of accident that might have caused certain injury can seek a chiropractor’s help. And most sport related accidents involving kids who have been playing without any form of protection or did not go through stretching before the activity can also seek chiropractic treatment. 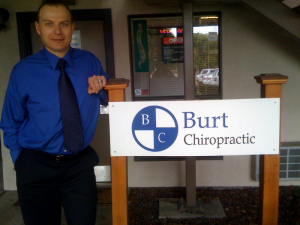 In Union City Chiropractic clinic, most young patients have sports related injury. Considering a chiropractic treatment for your kids will not only help them with their present condition but it can also help them prevent any other injury or disease from infecting them in the future. The treatment will also make their body stronger and healthier. And the parent won’t have to worry of administering a wrong drug prescription or making their kids’ drug dependent because the chiropractic treatment doesn’t use drugs in any of their treatment. Chiropractors would even help parents make their kids live a healthier lifestyle by suggesting a proper diet and exercises that will help in making their body function normally. The chiropractic treatment aims to help the body heal itself and make it function normally by correcting the misaligned spinal column. Like in the Union City Chiropractic clinic, there are a number of patient that were really surprised when they found out that they have a misaligned spine. Though it might not easily be detected, the chiropractors have several ways in which they can determine the patient’s problems with a few test. And more often than not, it is because of a misaligned spine which has been left untreated for a long period of time. It is also best if young patients can start having a regular chiropractic check up at an early age. Though not as frequent as adults need to see the chiropractors but a regular chiropractic treatment will help in strengthening their bones, joints and muscles to make it perform its best without having any injury. In the Union City Chiropractic clinic the chiropractors has several family who comes in have a chiropractic treatment together. The treatment will also prepare the kids for some heavy tasks in the future. It is better to start living a healthy lifestyle early in your life so that your body is prepared with any forms of disease or virus that might attack. Kids always have a weak resistance against injuries and diseases but if their body is functioning normally they have better chances of preventing diseases from infecting them.